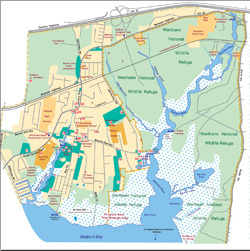 The "Family" section of Bellport.com is a new resource for families in the South Country area, including Bellport, Brookhaven, East Patchogue and the surrounding areas. Here you'll find information on goods, services, activities and events all geared toward families! This section is a "work in progress" so please tell us what you think! If you think of something that you'd like to see us add here, drop us an email and let us know. We look forward to hearing from you! 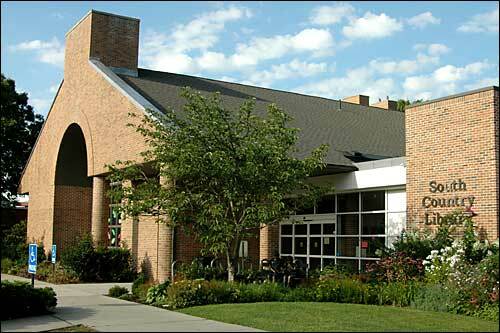 The South Country Library has released its list of events for March and April. Registration for adult programs is immediate and ongoing unless otherwise noted. Registration for March children's programs starts Friday, March 1st at 9:30am. 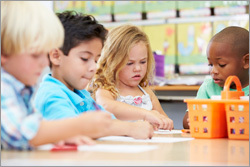 April children's program registration starts Monday, April 1st at 9:30am. Click here for descriptions of the upcoming programs. Parade Cancelled Due to Weather. Event Moved to Bellport Community Center. 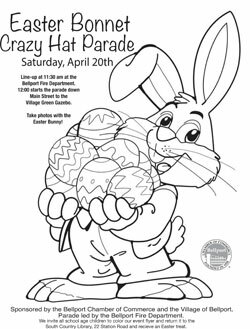 Due to weather conditions predicted for Saturday, the “Easter Bonnet and Crazy Hat Parade” will be moved to the Bellport Community Center, 4 Bell Street, from 11:30am–1:00pm. 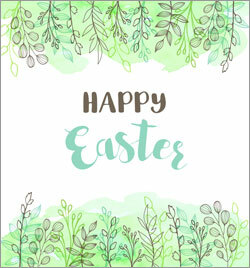 Enjoy photos with the Easter Bunny and special Easter egg treats for all! Join the Bellport Country Club on Easter Sunday, April 21st for their Gourmet Easter Brunch Buffet or their Lavish Dinner Buffet! 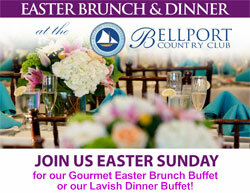 Take a photo with the Easter Bunny and enjoy the fine cuisine for which the Bellport Country Club has become known. Space is limited, to make your reservations today! Click here for more information. Join "The Bellport" for the first blush of spring, Easter Sunday, April 21st. They will be featuring a special Prix Fixe menu with an exciting assortment of spring favorites. In addition, The Bellport will also be offering their regular Brunch menu so there's bound to be something for everyone to enjoy. Reservations are encouraged. Click here for more information. 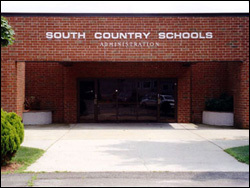 Click here for what's happening this week in the South Country School District.